Google has always known for its extraordinary features for its products. Google always try to introduce such features which no one in industry provides to its users and now Google has comes one step forward to introduced "2-Step Verification" method for all of its Google Accounts and Google Products. 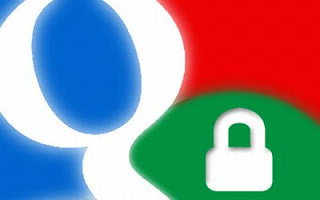 Now Google users can able to lock up their Google Accounts through their cell phones. Google's 2-Step Verification provides users an strongest level of security to your Google Account by necessitating you to have access to your phone as well as your username and password when you sign in to any Google's product and service online. Additionally you will require entering a code that Google will send you via text or voice message upon signing in. "2-step verification drastically reduces the chances of having the personal information in your Google account stolen by someone else. Why? Because hackers would have to not only get your password and your username, they'd have to get a hold of your phone". I am personally using 2-step verification method and i strongly recommend all users to switch over to it. With their "2 step verification system", u can lock your account with your mobile phone and it is virtually guaranteed that only the person who's in possession of the Mobile No. (YOU) will be able to access the account. For more information regarding How it works and How to setup 2-step verification Click Here.